What's the best bad breath home remedy? First, determine what causes halitosis or bad breath. Poor dental hygiene is one cause. Your home remedy for bad breath can be as simple as ensuring you are brushing your teeth properly after every meal. Use dental floss every day. Change your toothbrush often if you have sever halitosis, even every month. Brush your tongue to remove bacteria or use a tongue scraper to scrape off the tongue. Did you know... morning breath is caused by dehydration and a lack of saliva to wash away the bateria in the mouth? Chewing a sprig of parslety after meals can be one of your home remedies for bad breath... if the cause is not coming from the digestive system. What causes halitosis? Bad breath from stomach. It comes from improper or incomplete digestion, or a stomach that is not working as it should. In order to eliminate bad breath you need to ensure your food is being properly digested. Our digestive enzymes are found in raw food. 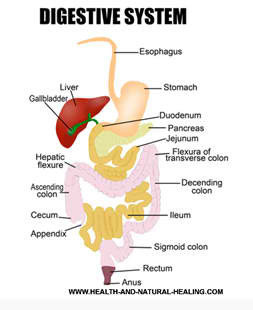 If you do not get enough raw food you lack these enzymes and food putrefies in the stomach. This is one of the main causes of halitosis. Also, most people over the age of 40 lack digestive enzymes. The best of the home cures for bad breath is to simply take a high quality digestive enzyme supplement with every meal. If you have a tendency to be overly acidic, find a supplement that does not contain hydrochloric acid. Chlorophyll liquid, three times per day, in a glass of water, especially first thing in the morning. Marshmallow and pepsin combination will help those who have a hard time digesting proteins. Probiotics to help rebuild the friendly bacteria in the intestine. 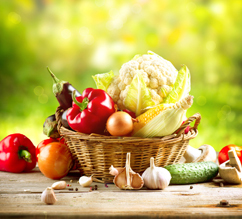 Avoid all things that putrefy in the stomach, reduce animal protein, eggs, fast food, and wheat Drink plenty of pure water Doing a cleanse is highly beneficial. I go into great depth about how to do a cleanse for your body type in my ebook Natural ways to lose weight. There is no need to suffer from embarrassment or make others suffer. Follow these simple treatments for halitosis to ensure your breath is sparkling fresh and clean.